RESQ Charitable Trust - RESQ: Only for Animals who have Nobody. Read on to learn and understand the current scenario, challenges and the recent Protocol Changes made at RESQ in order for us to keep helping the injured and sick animals on the streets of Pune, who have nobody to look after them. The ResQ Centre at Bavdhan-Bhugaon began with an Open Door Policy. We decided we would let everyone come in whenever they liked. We wanted every single person that cares about animals be a part of ResQ by ensuring that they were welcome, whenever they needed our help. That slowly became a 10:00 am to 5:00 pm window when a lot of people started misusing the previous policy. Uptil recently, ResQ was open from 10am to 5pm for Visitors, 365 days a year. Even then, Emergency cases that followed the reporting protocol, were never refused access, even in the middle of the night. RESQ is too far, but we want updates! People complained we were too far out of the city and when they wanted to find out how an animal they reported was doing, it was not possible for them to come over to the ResQ Centre and wanted telephonic updates. It was impossible to communicate with over 100 people a day with medically sound answers…we’d need one Vet dedicated only to answer the phone if we had to make that possible! Since it was'nt, we created a backend to our Online ResQ Management System where people could actually see how the animal was doing online and leave queries for the ResQ vets, who would answer within 24 hours! We would try and call the reporter when the animal was looking like it was deteriorating, we would make calls when an animal passed away and try to give closure to the person who may have cared about that animal in the past. We also sent SMSs and made calls to the reporters, before releasing any animal. Due to the sheer numbers of animals that come to us, we have outlined protocols for every case, so that the system is fair to all. We cared about making everyone a part of the system. We have even adjusted our systems whenever fair suggestions were made, however, attending every individual phone call or message on social media regarding cases reported may not be possible! There are over 275 animals under treatment at the RESQ centre at any given time. If one accounts for the Onsite Animal Rescues and Mass Anti-Rabies Vaccinations we do, we touch the lives of over 1200 animals every month now and this number is only increasing day by day. All daily operations are handled by 1 Founder Trustee, 6 Core employees and 3 full time RESQ Veterinary Doctors. On any given day, we have our eyes and hearts wrapped around 275 homeless and ill street animals, including dogs, cats, cows, buffaloes, horses, goats, sheep, pigs and birds. What does the RESQ Team do? Every animal that comes into ResQ is not healthy. They require major and minor surgeries, wound dressings daily or twice a day, chemotherapy, multiple feeds, multiple drips, nebulisation, constant physical checks, physiotherapy, feeding, cleaning, skin care, enrichment and lots of medical and hands-on care. Besides animal care, there is managing the centre, webline, ambulances, staff, fuel, ordering medicine, food and cleaning stocks, administrative duties like accounting, taxation, salaries, leaves, repair, maintenance and utility management. 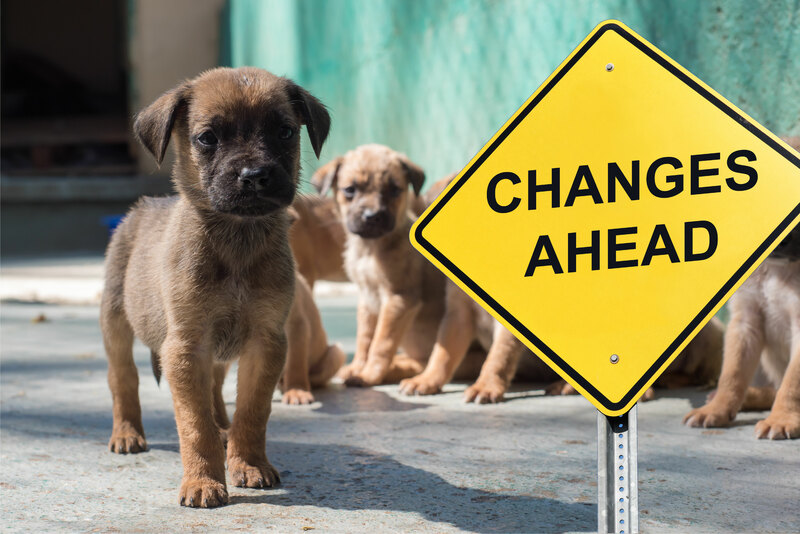 In addition to running the centre and animals under treatment, there’s the anti-rabies program, education and awareness work… and not to forget, raising donations because ResQ provides Free Service for Street Animals and donations are not mandatory for anyone. All of this is managed by 10 people collectively along with support staff. Because that’s all the manpower we can afford in order to look after these many animals! Out of so many animals and over 30-50 cases/day reported daily, we try and do our very best to give them all we’ve got. But our resources are not unlimited. We have limited funds (no government funding, only private donations from animal well-wishers and few companies), limited utilities and most importantly, limited people. Sometimes, an animal that is an escape-artist runs away. Sometimes, the animal dies no matter how hard we try fighting for it. Sometimes, it’s just not enough, but we never stop trying and our intention to protect every animal is truly primal for every single person in the ResQ Team. It is extremely exhausting for 10 people to see life and death on a daily basis. It is an extreme pressure to ensure that each and every animal of receives it’s treatment in a timely and caring manner. It is mind baffling at times to diagnose most animals because they come in with absolutely no history! It is extremely frustrating at times when you see an animal recover, and then suddenly die. Sometimes, there are no explanations…we wish animals could talk. Compassion fatigue is a real thing. It’s something every single member of team RESQ battles and sometimes there’s isn't any time to feel tired, they just have to go on, because the animals at RESQ depend on them. Now in all of this, what is unnecessarily exhausting is dealing with unreasonable and vindictive people and their behaviour. An animals may bite out of fear or pain, but it’s really the humans whose behaviour we fail to understand. You may attribute this to the increase in the number of animals that come to ResQ which also invites increased interaction with so many different kinds of people, but in the last 1-2 months, we have had people misusing practically every system of openness and transparency we have created. We have experienced people lying and abandoning animals, people threatening and assaulting the veterinarians and staff, we have had people lying to get free treatment for their pets, we have had people misbehaving, trespassing and shouting unheard of demands and to top it off….we have even gotten dragged into the High Court and become collateral damage thanks to external animal welfare politics and personal vendettas…just because we helped another organisation and the police in rescuing several animals trapped in a terrible 'animal cruelty' situation! All because we wanted to keep our doors open for all animals in need, always. We started out 11 years ago to help an animal in need. Let’s be specific, to help a “homeless street animal” who have "nobody to care for them”. We wanted to be there for animals who do not have anyone to take care of their medical needs or to fight for their life. When we take on the care of a street animal, we make the Reporter sign a declaration form which states that they have ‘no claim’ over the animal, that they are not the owners of the animal and that we will release the animal back to it’s pick-up location when healthy, unless adopted. It was mentioned on the form that they can come visit the animal with the form and Case ID mentioned on it. Everything changes now, except for the reason and terms on which we started. - We started because we wanted to be there for any homeless animal who is in pain and in need of medical help. - ResQ's medical care will always be a free service (no compulsory donations), so that even a Chaiwala does not hesitate to bring in an animal to ResQ and worry about paying money to get it help. RESQ will not take on any animals involved in legal matters. We have burnt our fingers far too many times, thanks to animal welfare politics involved in legal cases. We never wanted to do this, but we have no option but to say no now. Please do not ask us to, we really do hate saying no to an animal. If you want to visit the ResQ Centre, see the work we do, spend time with some animals, enquire about volunteering, adopt an animal etc. you must write to info@resqct.org, take an appointment, receive confirmation and then visit. You are most welcome to come on your own or in a group, but a confirmed appointment is now compulsory. Visitors are not allowed to meet any animal under medical treatment, or under restricted access, especially dogs and cats. Visitors will only be allowed to interact with friendly large animals and other animals who are close to recovery or in the Halfway Home for Adoption. We will be shutting outsider access to our Online Management System. Our 3 vets have too many animals to care for a daily basis and it is impossible for them to reply to messages after caring for hundreds of animals, doing surgeries, rounds, treatments and writing dozens of prescriptions every single day. There will no visitation to animals that have been admitted and are under medical care, even by the animal reporter. ResQ exists for animals who have nobody, so if you claim that it is ‘your dog’ or ‘my cat’, whether it lives outside your home or office, we have no problem taking it in and caring for it, however, please remember that you will not be allowed visitation, receive no updates, recovery, release or death calls. If you would like such service, there are several ‘paid fosters’ for street animals in our city, and we will be happy to provide you with contact details of the same. It is not about not wanting to share information, it is simply about the fact that we are too small a team to handle so many people and spend our energy in human service. We believe our energy is best spent on caring for animals. We are doing our best to put up the work we do and we have amazing volunteers trying their best to ensure the world hears about the work we do through Social Media and other sources, even though it is practically impossible to put up stories about each and every animal that comes to us! Thank you for all the love over the years that you have showered on the animals whose lives RESQ touches. We look forward to your support, it is truly that which helps the work go on. We thank you for the faith and understanding that RESQ works for and put all its energy into the animals…and that as humans, your and our jobs is only to support them in every way that we can.